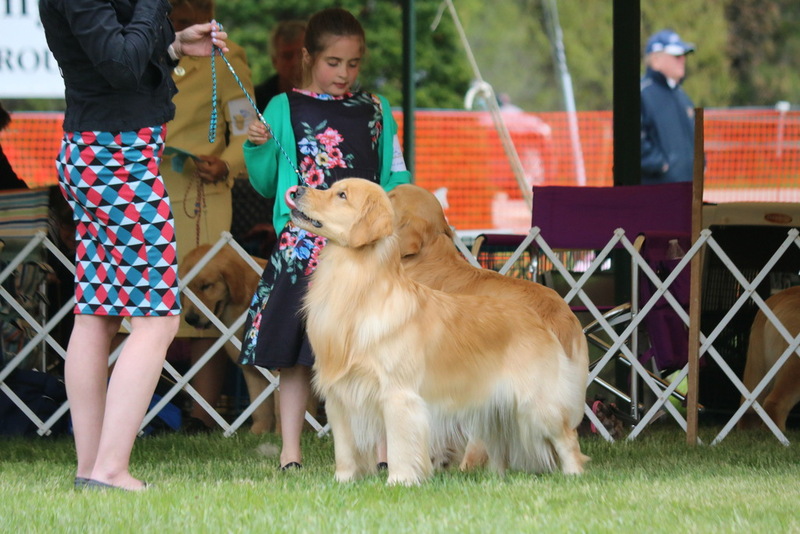 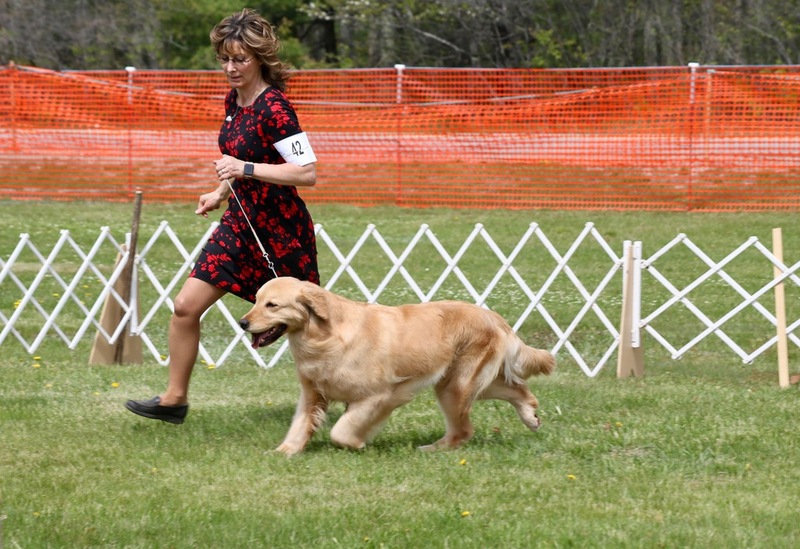 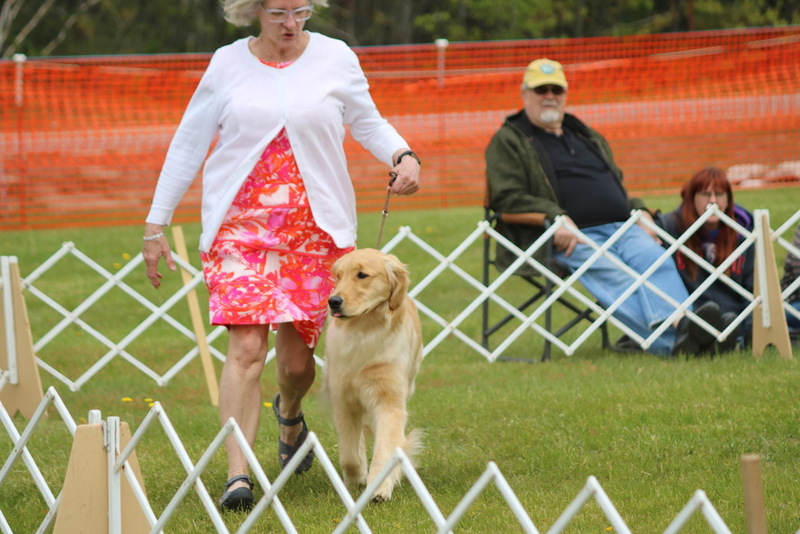 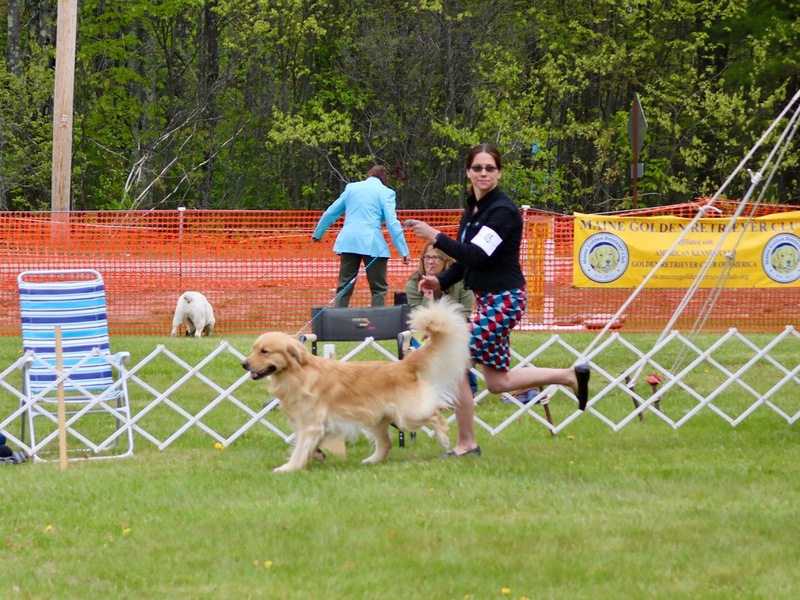 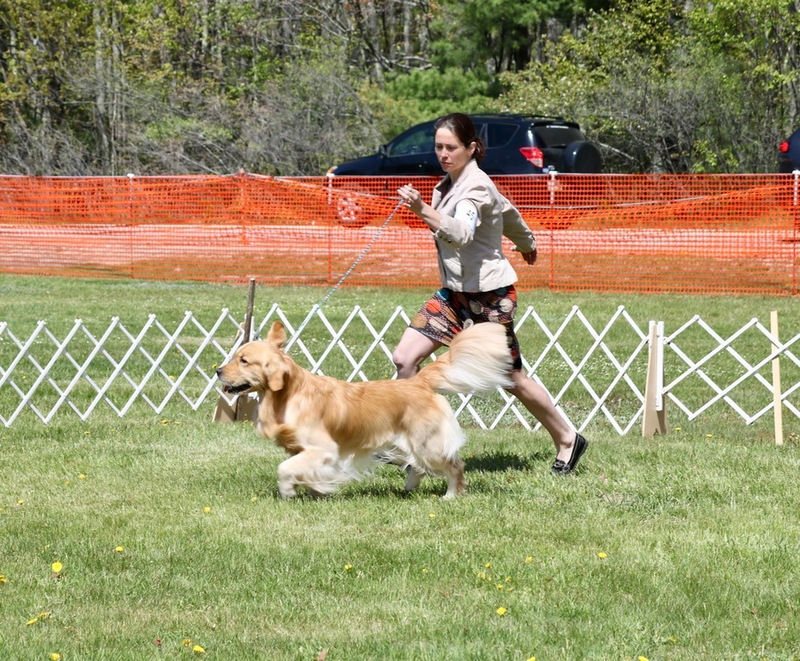 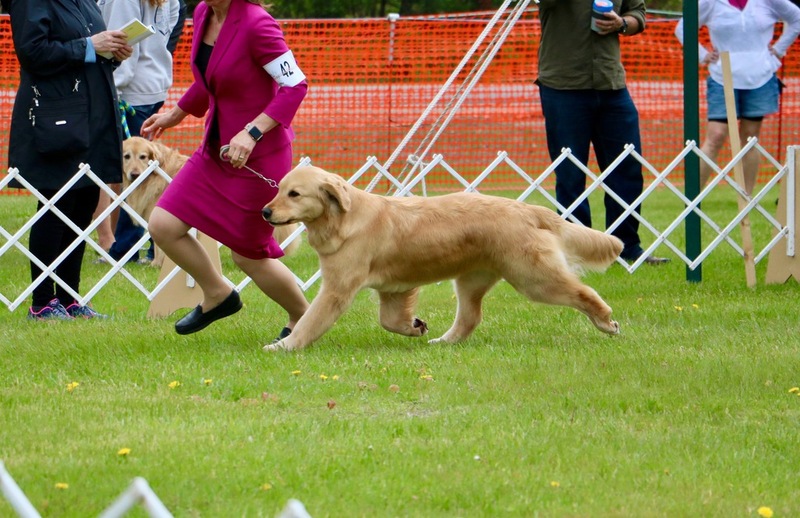 The Golden Specialty & Sweeps held in conjunction with the Vacationland Dog Club Southern Maine Coaastal Classic were both very successful. 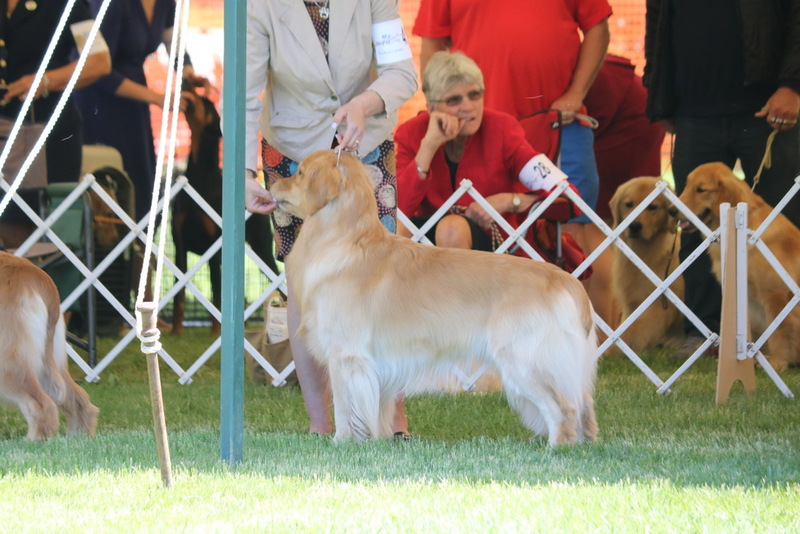 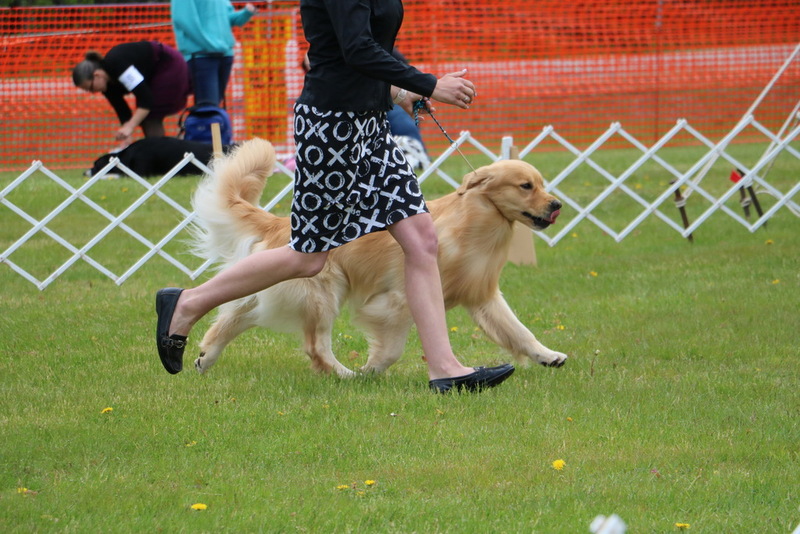 Sixty-seven Goldens were entered in the Specialty & were judged by Barbara Pepper. 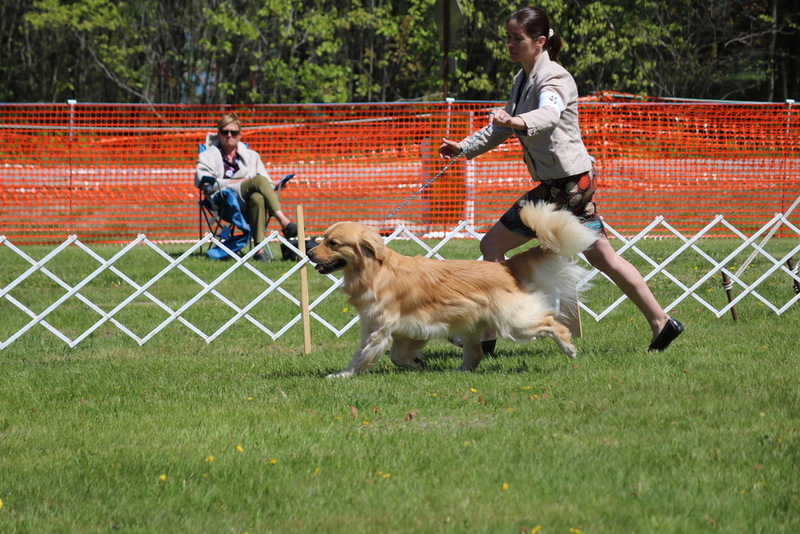 It was a 4 point Major for boys & 5 points for girls. 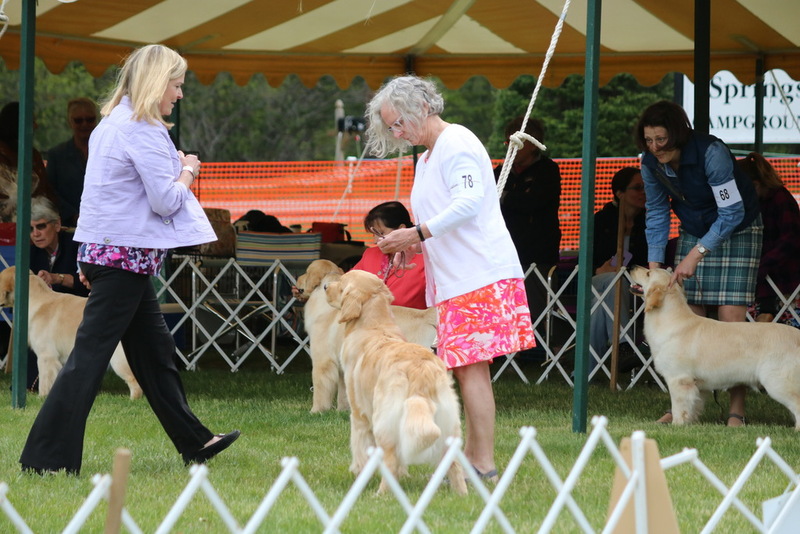 Allison Webb, the Eastern Director of GRCA, who now lives in Maine was the Sweeps judge. 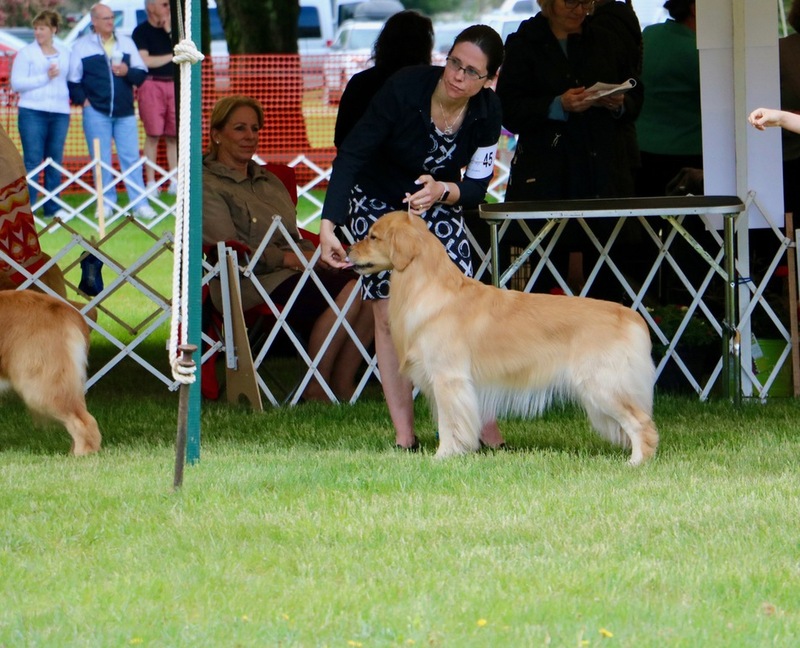 She was very complimentary of the entrants & said "it was a difficult choice." 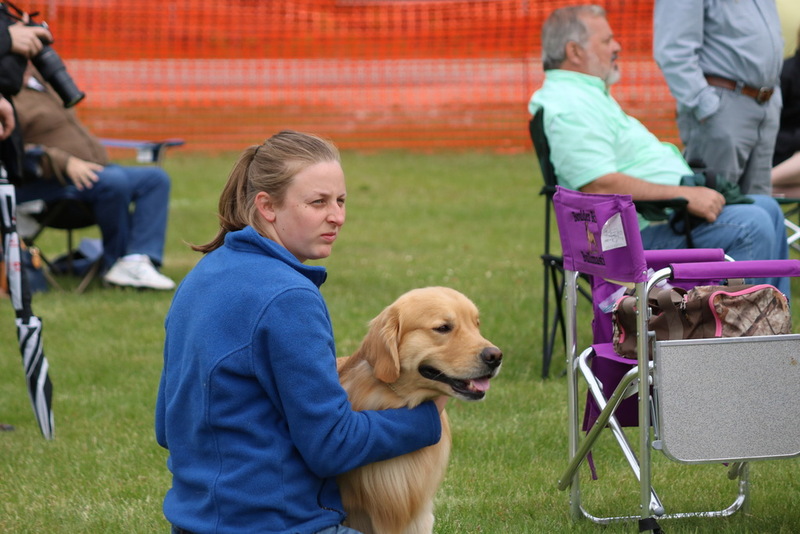 All of the Sweeps participants appeared to have a good time. 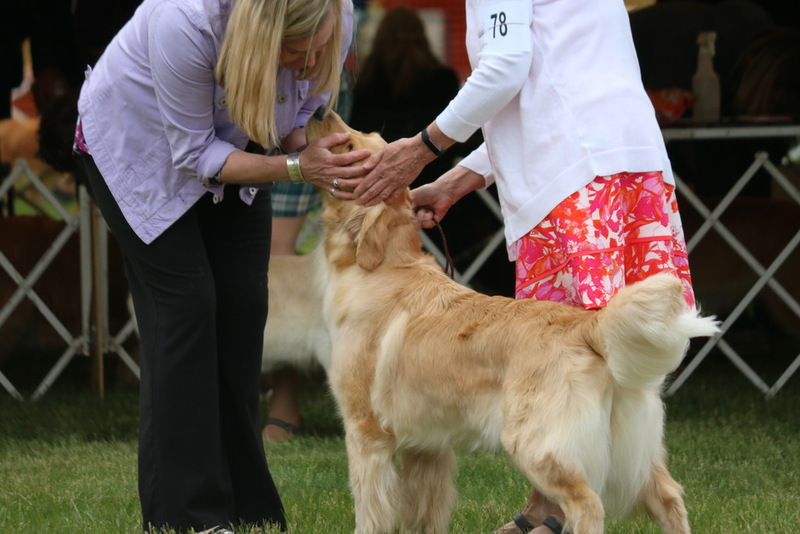 Both Ms. Webb & Ms. Pepper were presented with the "highly coveted" Heads & Tails MGRC coin.